While preseason games don't matter in the standings, Thursday's opener against the Patriots could help clear up some of the competitions among Washington's position groups. WASHINGTON — After two weeks of training camp, it’s time to play a real football game. When the Redskins take the field in New England on Thursday, don’t expect to see many of the starters. Head Coach Jay Gruden has already ruled out tackle Trent Williams, wide receiver Jamison Crowder, running back Chris Thompson and safety D.J. Swearinger. Guard Morgan Moses has been dealing with a foot injury as well, so there’s a chance he won’t play. With all that being said, new quarterback Alex Smith might not see the field either. The starters that do play most likely won’t go longer than a series. The game does mean something for some players, though. Gruden and the coaches will use these preseason games to get a better look at some of the guys fighting to make the football team. The coaches know that the starters will get a lot of work when the team returns to Richmond and welcomes the New York Jets for three days of joint practices starting Sunday. “It’s like a big family reunion, you know?” said David Karl, of Chesapeake, Virginia. “I don’t even know these people, but at the end of the day, we’re all brothers and sisters.” See photos. As far as position battles of intrigue, look no further than running back. Chris Thompson and rookie Derrius Guice are guaranteed a spot on the 53-man roster. After that, there are five running backs fighting for possibly only two spots, depending on how many the coaches decide to keep. Gruden said earlier this month that Rob Kelley was having a “very good camp,” so that’s a good sign for him. 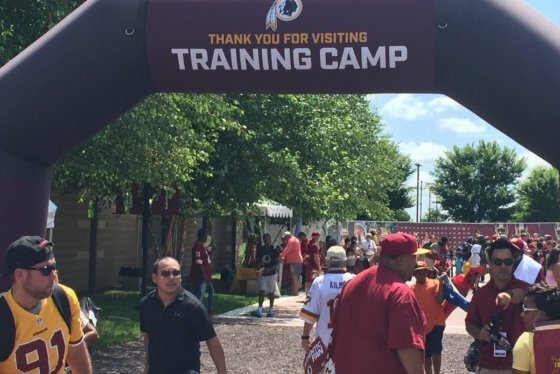 Second-year back Samaje Perine, third-year player Byron Marshall, and fifth-year vet Kapri Bibbs should all get a good chance to show the coaches what they can do during the preseason. The other running back is rookie Martez Carter. He is dealing with a hamstring injury right now, so his status for Thursday is up in the air. The receiver position is another tight battle right now. After Josh Doctson, Jamison Crowder and Paul Richardson, there are possibly two or three spots open. 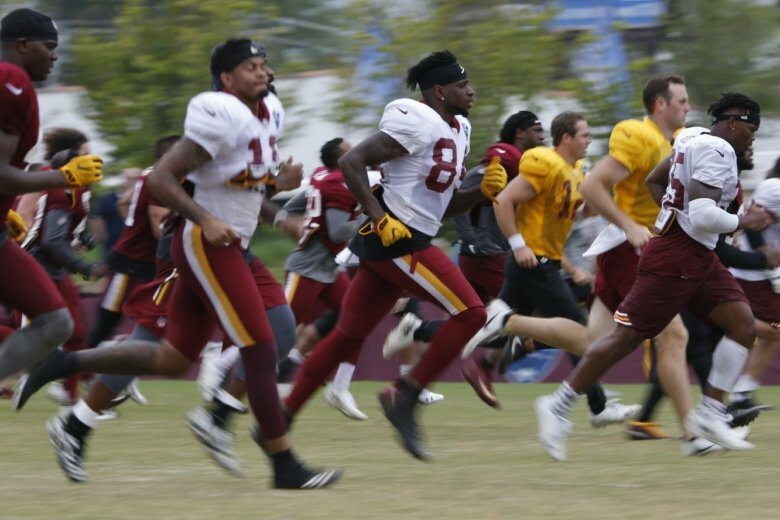 You can expect to see Maurice Harris, Trey Quinn, Robert Davis, Simmie Cobbs, and Cam Sims get a heavy dose in the preseason. This game will be the first opportunity that the rookies get to put on an NFL uniform for the first time. “It’s going to be a dream come true to play out there,” said rookie safety Troy Apke. The final score of the game is meaningless, and so are the stats. The thing that coaches care about most of all is coming out of the preseason games without injury.